Acrosser Technology now is providing customers the Purley’s new platform network appliances, the Acrosser first 2U IoT Rackmount Server: ANR-C627/622N1. 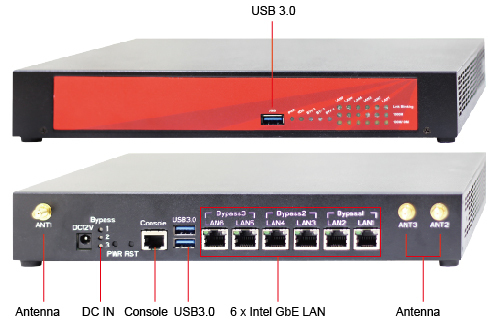 Positioned as powerful network appliances, ANR-C627/622N1 equipped with the latest generation Intel® Xeon® Scalable processors are perfect for IoT Gateway, Edge Computing (EC), Cloud, Next Generation Firewall (NGFW), IPS/IDS, Security Gateway (Se-GW), Unified Threat Management (UTM) and Network Functions Virtualization (NFV). As excellence network appliances, ANR-C627/622N1 series support dual-socket Intel® Xeon® Scalable processors, 24* RDIMM/LRDIMM DDR4-2666, dual onboard SFP+ (10G fiber) and 8* Expandable Network Interface Modules (NIMs) for 1G/10G/40G (fiber/Copper/Bypass) various options. Strong networking ability can meet most of the enterprise-class customers’ needs.